The name Jia Ming means "Excellent Tea". This hexagonal-shaped tea canister features a simple and beautiful Chinese landscape art which portrays the Chinese spring season. 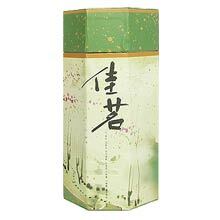 It is suitable for all types of premium loose-leaf teas.